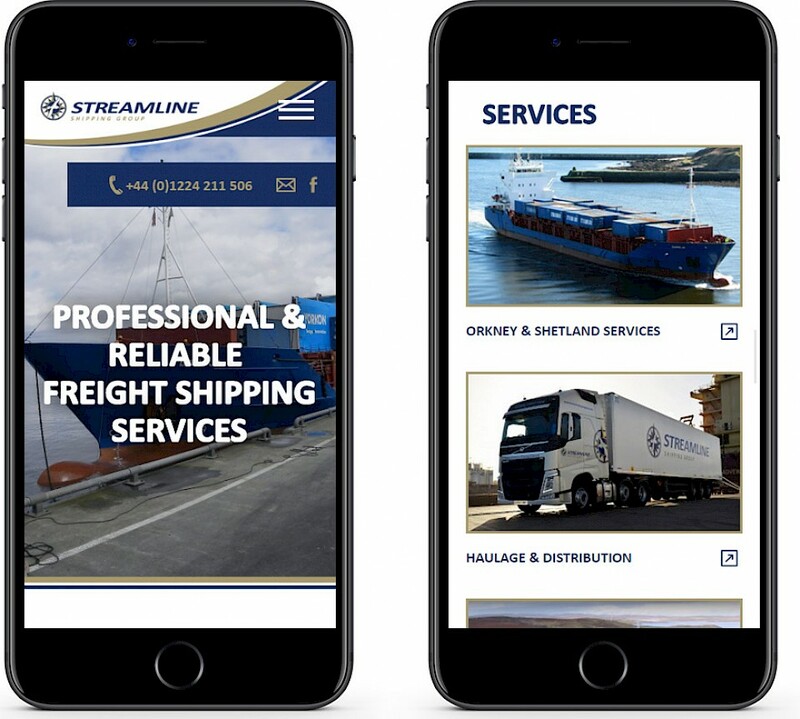 Streamline is one of Scotland’s leading freight and logistics operators. While sea freight to the Northern Isles of Orkney and Shetland is at the core of our service, the Group’s haulage, transport, shipping and logistics work stretches across the globe through our partnering networks and specialist freight forwarding teams. Streamline wanted their range of services to be easily identifiable to those searching for suppliers online. The client also wanted the look and feel of the site to stand out from competitors such that they become a first choice, and represent them well as professional, reliable and competitive. The new website also offers additional functionality like being responsive and having a featured projects page to describe some of their projects in detail.